I’m delighted to have worked with Diana Ecker from Redbooth to bring you this sponsored article on how to make virtual meetings easier. Even though we may take them for granted, virtual meetings are a dazzling concept. You bring together people who are working from home, on the road for travel, or in offices around the world with just a few clicks. It frees you up to work with clients, contractors, and teams from anywhere at all. Of course, virtual meetings come with their own challenges as well. 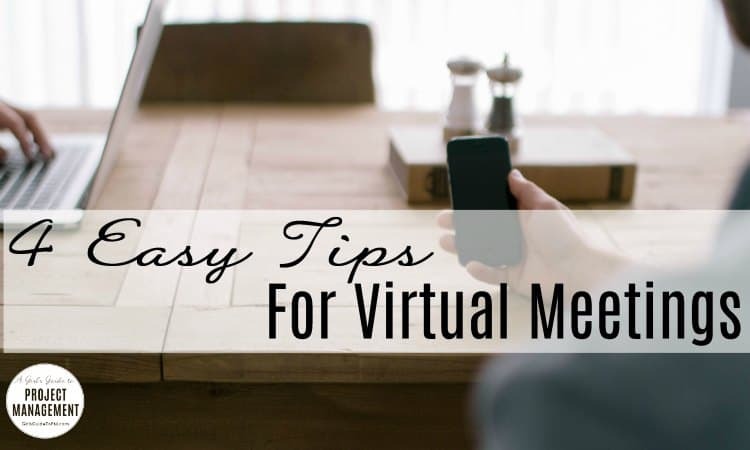 In her video 5 Tips for Virtual Meetings, Elizabeth Harrin tackles the essential issues surrounding effective virtual meetings. For example, does everyone on the meeting actually know how to use the web conferencing software? Even when you’re hosting virtual team meetings on a daily basis, there’s often still room to optimize. Here are 4 quick and easy tips — each one requires just a minute or two, or even less. But each one can reduce common sources of aggravation and help you lead more effective, efficient virtual meetings. Of course, you want to hear your clients and colleagues (at least most of the time!). But with sensitive microphones, incidental noises — a dog barking in the background, traffic outside, other people talking — can distract everyone on the meeting. Fortunately, there’s an easy solution: Most video conferencing software includes an easy way for people to mute themselves or for the host to mute them. As a meeting leader, you can proactively address this at the beginning of a meeting, welcoming participants to make use of the mute function and explaining how to use it. Instituting this as a part of your meeting culture can prevent a lot of unnecessary irritation and help participants stay focused on the meeting itself. If there’s any chance that you’ll be sharing your screen during the meeting, this tip is for you. Screen sharing is an invaluable tool for making sure everyone is on the same page — it’s ideal for walking everyone through a spreadsheet or presentation slides. However, even with excellent screen sharing capabilities, it’s easy to accidentally share the wrong window on your computer. Before you know it, you’re broadcasting a family photo, a confidential document, or a rough draft that isn’t ready to share. As you’re getting setting up for your next meeting, take just a moment to close out of any windows that you might not wish to accidentally display. When you go to share your screen, you won’t have to worry that the wrong thing might come up. The face-to-face aspect of video conferencing is what makes it so immediate and engaging. You can see expressions (and even micro-expressions, if you’re fast enough!). The flip side of this is that you’re responsible for making sure that your face is clearly visible and well-lit on the screen as well. If you’re in the shadows — which most commonly happens when you sit with a bright light or window behind you — you can see other people’s expressions, but they can’t see yours. This issue isn’t trivial. In fact, it can create an ongoing source of tension in a virtual meeting. However, everyone who has been waiting and watching a spinning wheel, a loading icon, or whatever your video conferencing software displays is now feeling frustrated. Unless you’ve got an unusually happy-go-lucky group on the call, you now have to take on that frustration in addition to the original goals of the meeting. Take a minute to be mindful of your participants’ emotional experience (and its potential impact on your meeting objectives). If you’re running late, that means sending a quick message before the meeting starts to let them know — and that you’ll ping them with a quick instant message or text message once you’ve launched the meeting. The experience of participants on a virtual meeting can have a significant impact on the effectiveness of the meeting itself. Taking just a bit of time to manage that experience — from reducing background noise to making sure that no one sits and waits (and waits, and waits) — can pay off for you and for everyone in the meeting. 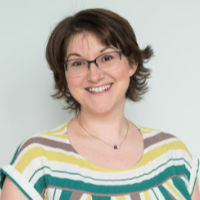 About the author: Diana Ecker is the Content Marketing Manager for Redbooth, which has offices in Silicon Valley and Barcelona as well as contractors around the world, so she’s no stranger to virtual meetings! By following above mentioned tips and using web conferencing tools like R-HUB web conferencing servers, webex, gotomeeting etc. one can conduct quality virtual meetings. Thank you Elizabeth and Diana for sharing the 5 tips. I’ve being managing virtual teams on daily basis the last 8 years, and honestly I found that mixing screen sharing and time to time video conferencing is the best balance to keep people engaged in the meeting. You need to switch from one to the other to keep the meeting dynamique and keep your team attention. I’ve tested several tools so far, and Skype stays from my point of view the best tool and most reliable . I was screensharing on Skype today and listening to the conversation on the ‘normal’ phone. I agree that a mix of methods is a great way to keep people involved in the call. And I do like Skype! Thanks for the suggestin of the headset. Mine is really old and I will be on the look out for a new one soon. Are you a remote a Project leader too? 5. Check your mic/headphones every time before meeting. We usually rely on that setting stays the same if we do not change them. However, it is not always true. Tuning up after the meeting starts introduces so much mess. 6. Facilitate the meeting. Even during video call we behave differently and do not use our body language to the full extent. It is harder to show when you are finished or that you want to add up. The order of speaking etc, etc. So facilitation to the details (e.g. specifying whose turn to speak) is, even more, important. Thanks, Dmitriy. The microphone tip is really good – I’ll be sure to do that for future meetings.